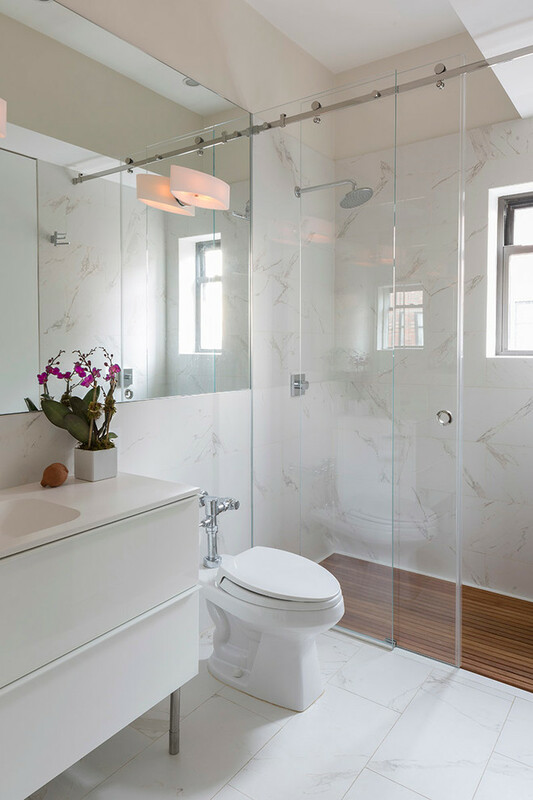 A Bathroom with shower should have a glass door or a waterproof curtain that will avoid the bathroom floor outside the shower area get wet. 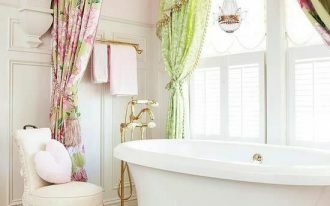 The glass doors and curtains can prevent the splash of water out and make the bathroom dirty. 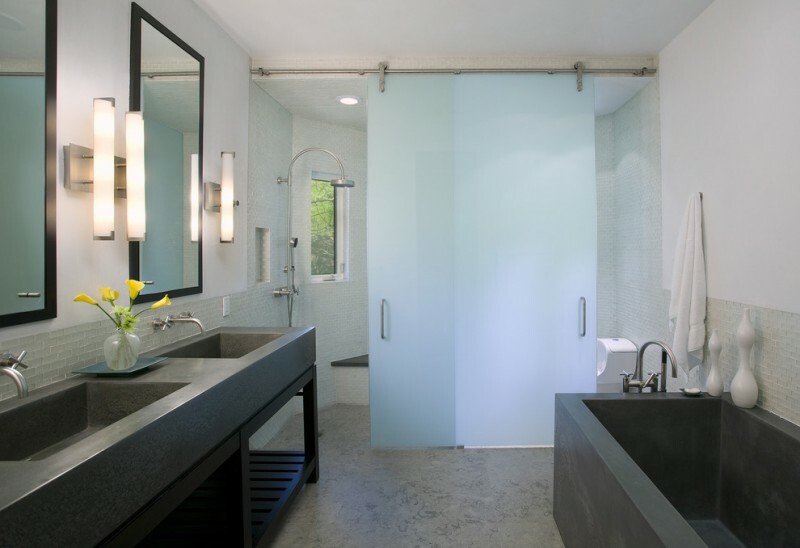 Besides maintaining the bathroom cleanliness, the glass doors can be a functional architectural bathroom feature. 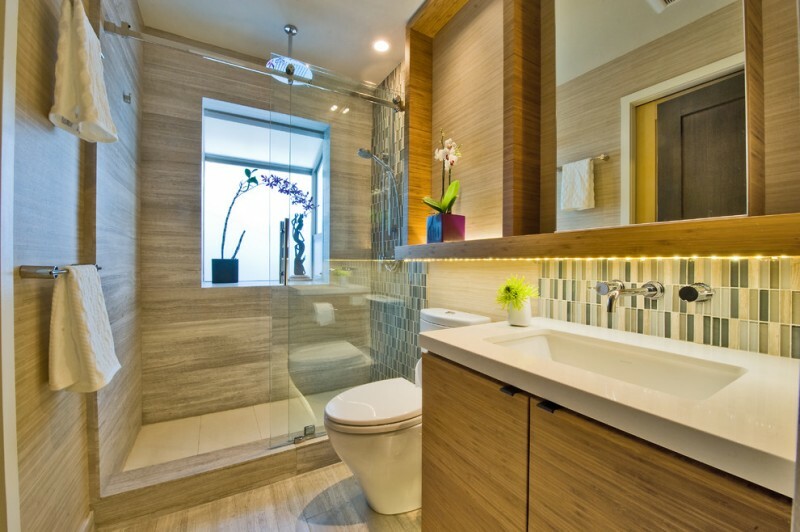 It can make the bathroom looks spacious with the clear glass material. There are many glass shower door designs we can get. A sliding glass shower door is a modern and practical shower door. Here are some efficient sliding glass shower door ideas that will inspire you to have a nice and modern shower door. 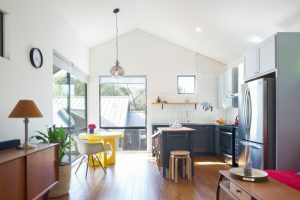 The sliding glass shower door and border aren’t installed from the floor to the ceiling. There is enough space under the ceiling for the air circulation in this bathroom. 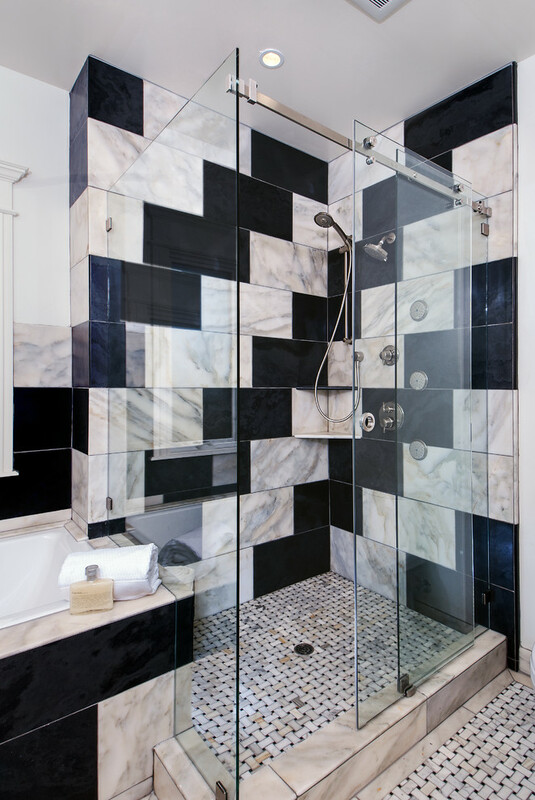 The shower space is decorated with the white marble walls. 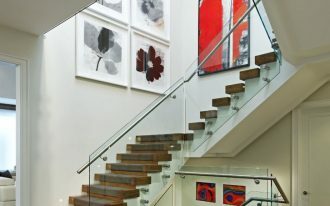 These sliding glass doors can be opened in both ways that make the doors so unique. The frosted glass can be used if you want more privacy. 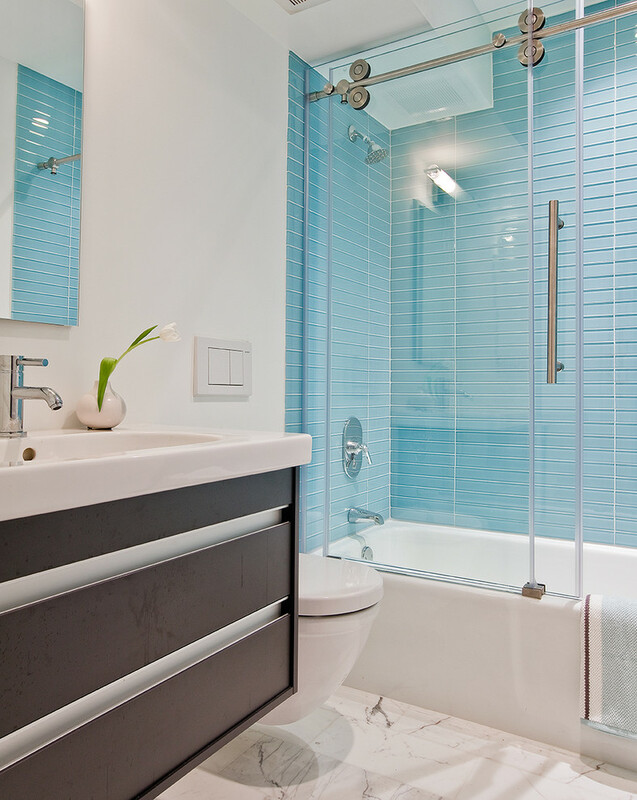 The frosted glass naturally gives soft blue color in this bathroom. 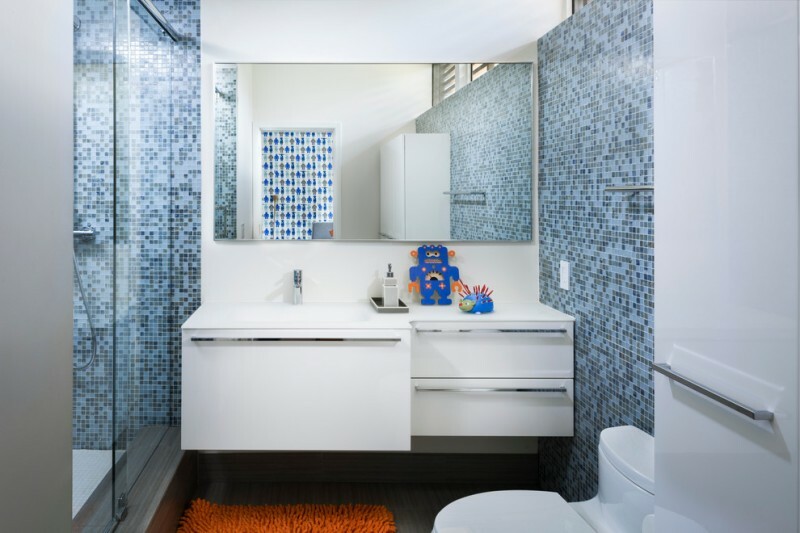 This bathroom features a double shower tub, sliding glass door, a floating vanity, a wall mirror, and blue shower wall tile. You can install the tub while having a shower area in a small bathroom as a space-saving way. 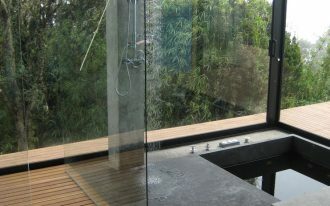 In this bathroom, the sliding glass door protects both the shower space and the tub. 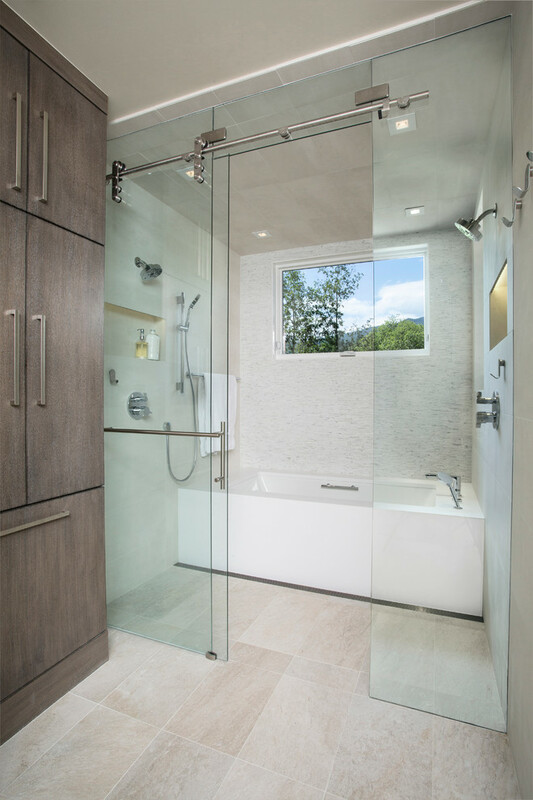 This frameless sliding system also uses nice shower door hardware and handle. Although this bathroom is small, the simplicity of the black and white color combination make this bathroom look more spacious. 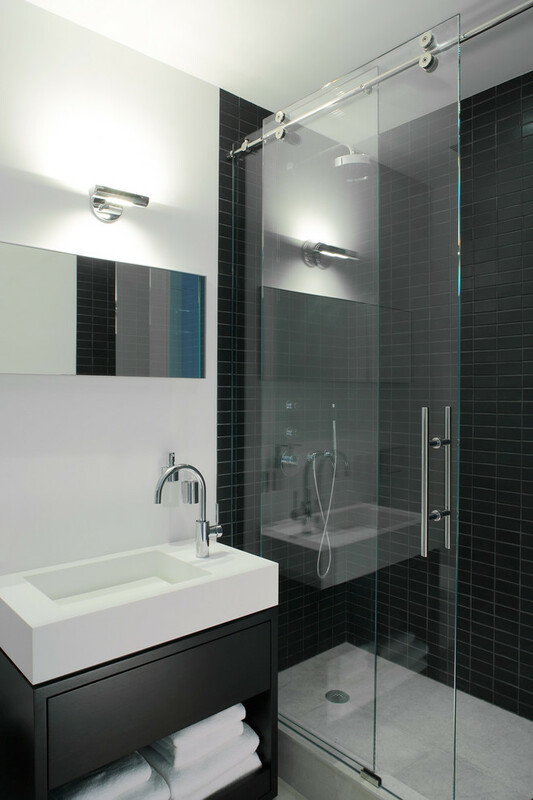 The black tiled shower is covered with an amazing sliding glass shower door. The sliding glass shower doors have a couple a couple of inches overlap and the shower head is on a long arm. It makes the water angle doesn’t promote leaking. 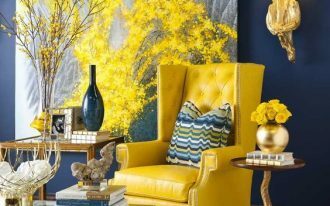 It is also better to place the sliding glass door on outside for less chance of leaking. 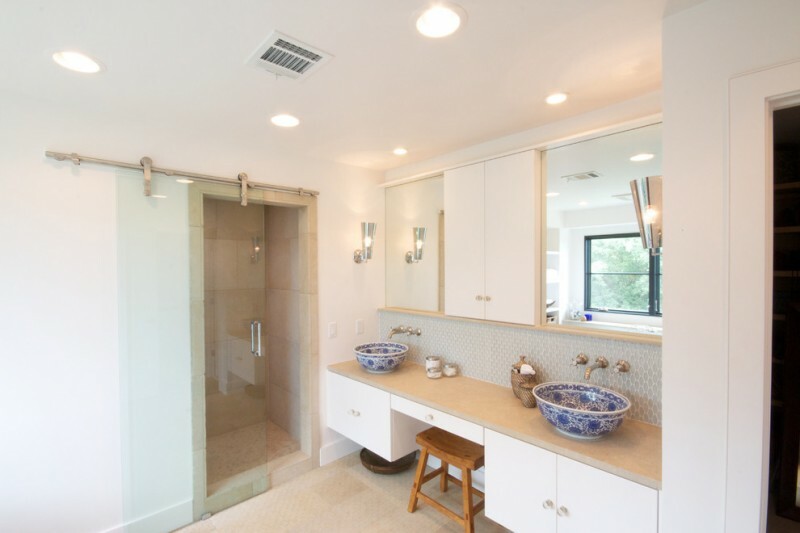 This bathroom offers the sliding crystal clear glass frameless shower door and spacious shower area. It also features black and white marble walls tiles that give an artistic layout. This sliding glass barn door is amazing. The hardware is installed on the shower area entry and the wall perfectly. 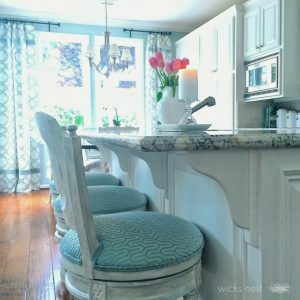 There are blue and white Mediterranean porcelain sink bowls, some storages, and a stool. The shower space seems hidden in this bathroom layout. 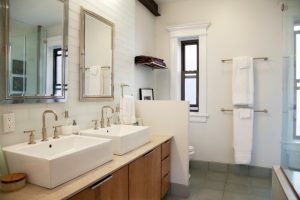 The white minimalist vanity has some white drawers and a white undermount sink. 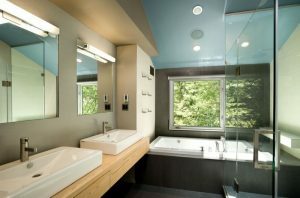 This contemporary bathroom can be created although it has a narrow space. To get the natural lighting, a frosted glass window is installed on the shower area.